Yang and Filo added the exclamation point to the end of Yahoo! because “Yahoo” was already owned by a company that produced BBQ sauce. The owners of Yahoo considered buying Google before went public. However, at the time Yahoo decided that a few billion dollars was too much to pay to buy out their competitor. Yahoo’s email service, which they purchased from Four11 in 1997, is still considered to be the most popular email program in America. In 2006 Yahoo’s image search gained criticism for displaying sexually explicit images in their results, even when the SafeSearch was on. Less than a year later the image search feature was shut down and replaced with Yahoo’s recently acquired Flickr photo sharing community. 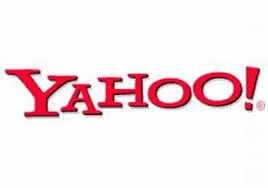 Yahoo currently owns and operates over fifty different web properties, most of which are sites that gained popularity before being acquired by Yahoo. Some examples include Geocities, Yahoo! Games, Del.icio.us, Flickr, and Upcoming.org. Yahoo! was founded in 1994 by Stanford University graduate students David Filo and Jerry Yang and incorporated the following year. Yahoo! was originally a website referred to as "Jerry's guide to the worldwide web" and was designed as a searchable index of online offerings. Yahoo! reports that more than a half-billion people visit its websites, which include a free web-based email service, each month. Microsoft Corporation in early 2008 tried to buy California-based Yahoo! with an offer valued about $44.6 billion, but it was rejected. Yahoo! began using Microsoft search engine Bing to power queries at its websites in 2009 and focused on tailoring digital content, including original news and entertainment shows, to the tastes of visitors. Former Google executive Marissa Mayer became chief of Yahoo! in July of 2012. Tumblr.com is an online platform for posting short snippets or images to blogs referred to as "tumblelogs." David Karp and lead developer Marco Arment launched Tumblr in 2007 and the company is based in New York City. Karp is chief executive of Tumblr. Arment left Tumblr two years ago for another start-up. Tumblr reportedly hosts more that 100 million blogs. Tumblr has been criticized for the amount of adult content shared at the website. Tumblr has received about $125 million in backing from Union Square Ventures, Spark Capital, Sequoia Capital and other investors. Yahoo! announced on May 20, 2013 that it will buy Tumblr in a deal valued at $1.1 billion. One of Yahoo’s highest priced acquisitions was Broadcast.com, which they paid a reported $5.7 billion for. On the other hand, their cheapest acquisition was their purchase of Net Controls for slightly over $1 million in 1997. In March of 2005 Yahoo celebrated it’s 10 year anniversary by giving away free Baskin Robins ice cream coupons to all of their users. Yahoo began as a project created by two individuals and has grown to employ estimated 13,000 full time individuals.